You’ve activated my trap card! Taipei Game Show brings next-level gaming for Pinoy gamers to enjoy at ESGS 2017! While the Taipei Game Show booth at ESGS isn’t the biggest or have the grandest of displays, the 2 games that they brought in surely makes up for it. Taipei Game Show is an annual video game convention held in Taipei, Taiwan similar to ESGS but think bigger. Heck, think Tokyo Game Show levels. The game they brought is indicative of how advanced Taipei is with game dev taking into account gameplay mechanics, tech innovation and superb art direction. 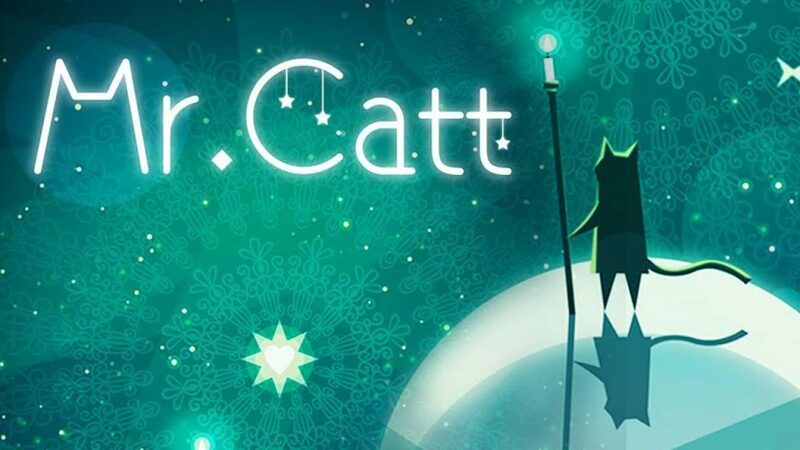 Take for example Mr. Catt, a seemingly simple connect-3 game ala bejeweled but adding key strategic elements and interestingly quirky narrative that weaves into the gameplay well. What? Narrative on a simple puzzle game? Yes. On paper, the idea may be fluff, but when you add the characters, design elements and “story chapters” it makes tremendous sense. As mentioned, Mr. Catt plays like your typical connect-3 game where you try to align 3 or more of the same colors to break the blocks. The objective for each chapter is fairly simple: break the stars, however, to do that are scattered along the way. Beat the 30 stages of all 12 chapters by utilizing bombs, lightning bolts, rainbow stars and other tricks in Mr. Catt’s arsenal. Don’t let the gimmicks fool you, though, this is a pretty chill game. Mr. Catt, tells a folklore-ish tale of the Black Catt looking for the White Catt and plays with duality a lot (dark/light, night/day, even seasons). 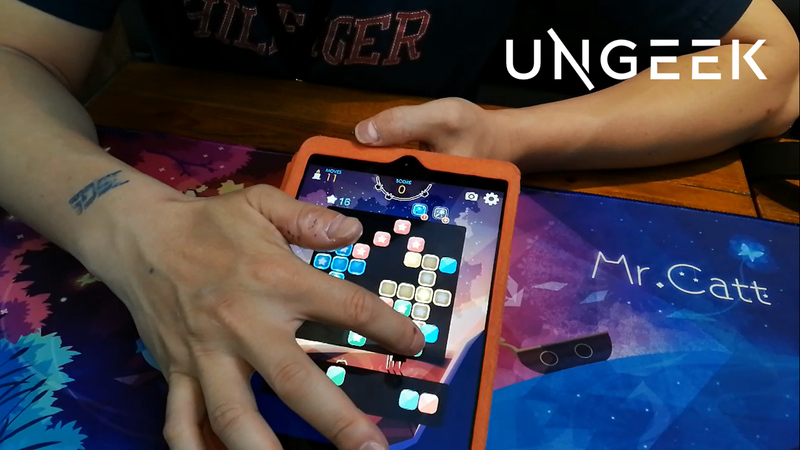 “We want to create something that’s familiar yet present it in a different way,” says Mr. “Sakura” Kuo Ping-Chun, CEO of 7Quark Games while explaining the game mechanics to us. The next game, this one, blew our collective minds away. If you know Yugi-Oh, you will lose your sh*t with this! Mokai Adventure AR is an update to the original Mokai Adventure game that plays a bit close to Pokemon. 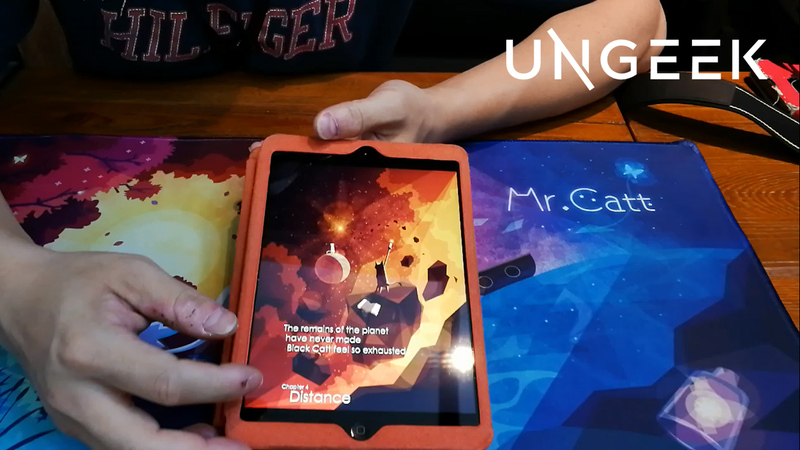 In the AR version, the guys from Werold realize the power of Augmented Reality and completely re-imagined the game to optimize it in this wonderful new terrain. 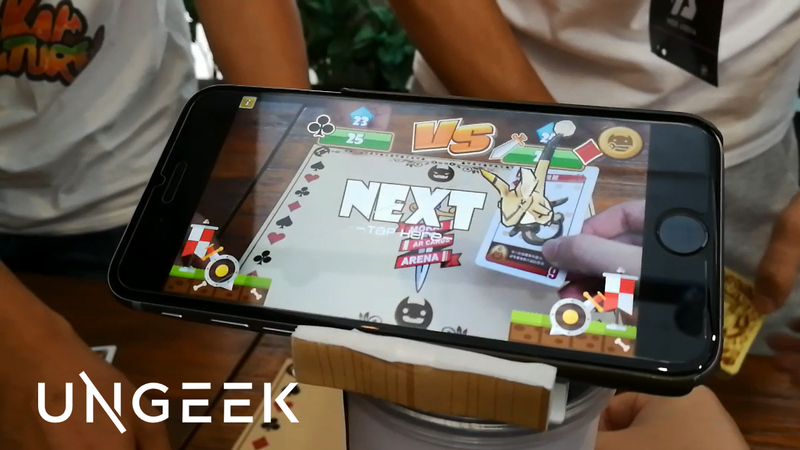 In the AR format, Mokai Adventures AR becomes a 2-player card battle for using a mobile app AND, get this, a set of real playing cards and a game mat. What becomes of it? Pretty much Yugi-Oh battle. Behold. If that doesn’t make you want to get your hands on a set, I don’t know what will. 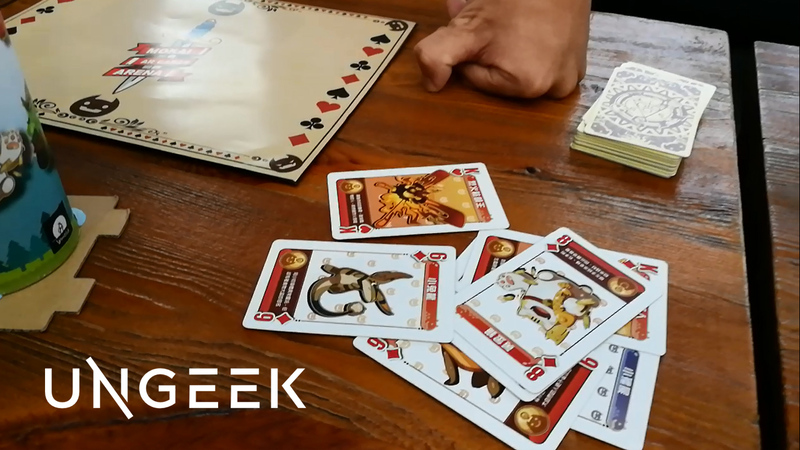 Mokai Adventure AR pits you against another player where you can lay down up to 3 cards at a time and have your summoned monster battle each other out. Each of you start with 25 health points and, similar to card games like Magic: the Gathering, you have to deplete your opponent’s health to zero. Here’s us trying out the game with Stephen Chao, Senior Designer for Werold. There’s still a whole lot of components that we haven’t explored with Mokai Adventure AR but suffice to say this will keep the Ungeek team unnecessarily busy for the next couple of days. If anything, it’s an amazing party game that you can easily bring with you anywhere. 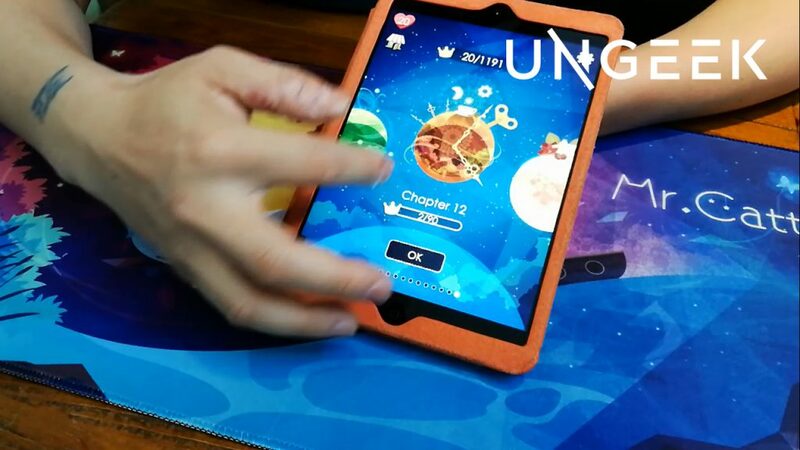 While the app is free to download, you will need the mat and cards to be able to play the game. This now makes ESGS 2017 a fitting venue to showcase and sell the units. The set which includes a deck of cards and the special play mat is priced at Php 500 and is currently just available here at ESGS for a limited run. If the IP gains more success, hopefully we’ll see local distributors sell the game packs here. They do have a special convention promo, though, wherein they slash 100 pesos off the price if you add their FB Fan Page. If you’re not doing anything today, do drop by the SMX Convention Center and check ESGS 2017 out and drop by the Taipei Game Show’s booth! It’s super worth it! Previous articleLooks Like Shuuichi Shigeno Isn’t Done With The Hachiroku Just Yet!